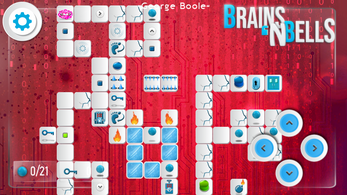 Logic and reflection game, generally appreciated by chess players, sudoku, math enthousiasts and programers, Brains' N Bells offers challenges of all levels. 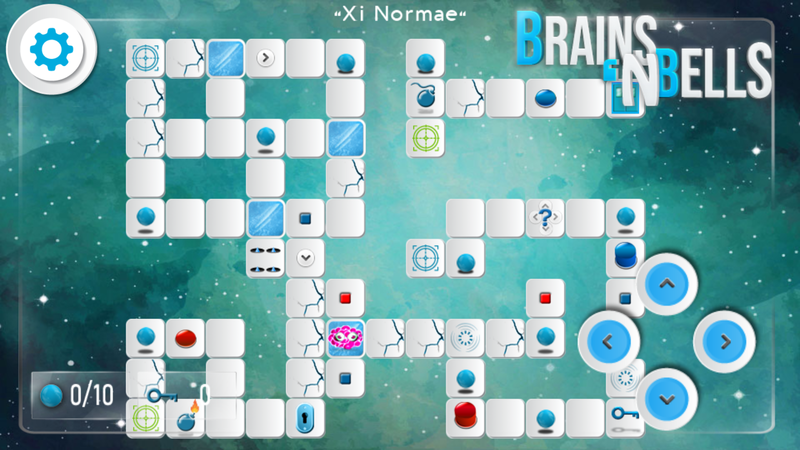 Train your brain by solving its formidable puzzles, however without stress: No time limit or number of trials and levels of progressive difficulty playable in any order: Failing to solve a level does not mean that you can not continue the game. Two versions exist : The full and a Trial version. Screenshot are from the full version. -100 levels of increasing difficulty (16 for trial version). -Simple goal: get enough blue balls and take the exit. -No time limit or number of retry. 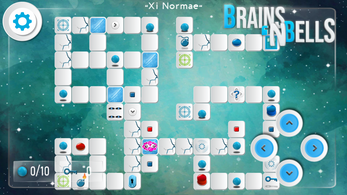 -Play the levels in any order. -Play with music or in silence or only with sound effects. -Jigsaw puzzles ranging from simplicity to great complexity. 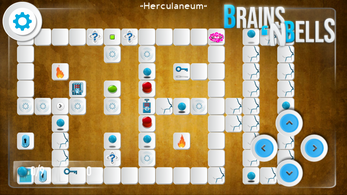 -A game adapted to the mobile interface. 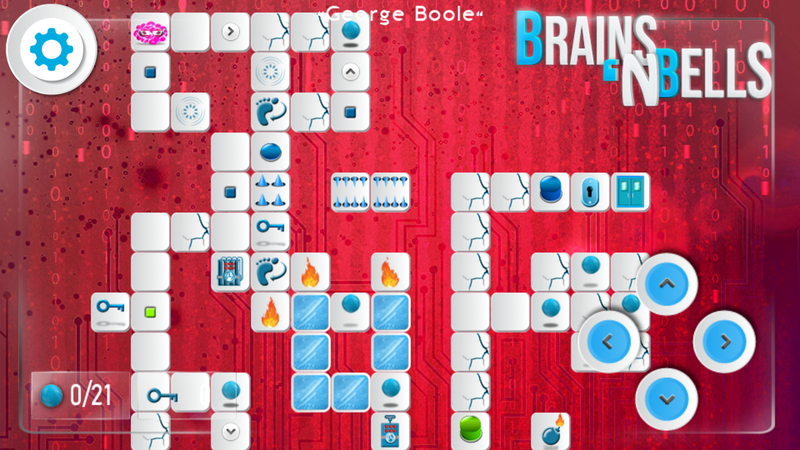 You're a fan of puzzle games and logic games, Brains' n Bells is made for you !